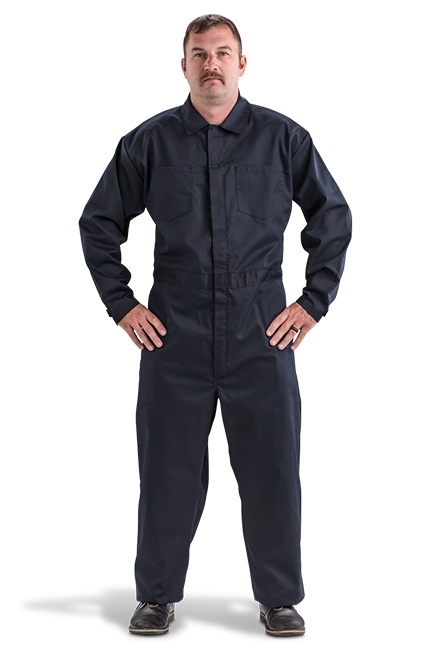 Cost Effective: Basic coverall for mechanical needs to lower cost requirement of garment. Customizable: Can be customized to meet requirements. Add pockets or trim, choose your color, choose your fabric. 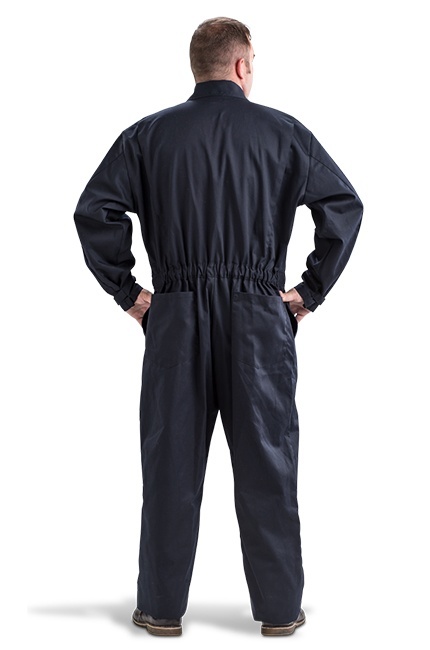 Fabric Options: Choose from fabric options like Nomex IIIA, FireWear, Indura Ultra Soft and Poly Cotton. Color Options: Available in several colors including, red, navy, black, yellow, royal blue (depending on chosen fabric). Lots of Pockets: Features two chest pockets, two slash pockets and two hip pockets. Comfortable Fit: Action back design for better mobility, elasticized waist for comfort. Easy Don/Doff: Two-way, full-length front zipper closure with hook and loop wristlet closures for easy donning and doffing.